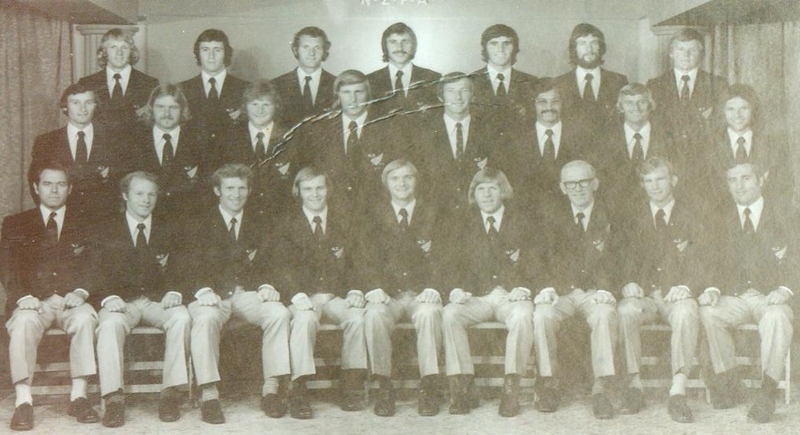 The New Zealand National Football team assembled at the Ardmore Teachers Training College at Papakura in Auckland during early February 1973 to prepare for the inaugural Oceania Nations Cup Tournament. Alan Vest and I flew from Gisborne to Auckland where we were met at the airport by a dapper talkative man who has since become synominous with football in Auckland; Arthur Eagan. The accommodation at the Ardmore camp was hardly luxurious; however, it served our needs as a training camp, with a football pitch within walking distance and a supply of substantial food at the canteen. We were dealt an early blow when Ian Ormond pulled out of the squad, due to work commitments, and we were also informed that the captain John Staines would not be in camp, but would attend training on a daily basis. I cannot remember these set back affecting our moral, as we had so many colourful characters in the squad that we could look forward, with relish, at the next six weeks as fulltime footballers. A break in training at the Ardmore Teachers Training College. Of the squad which participated in the Asian tour to Indonesia, Paul Cameron, Warren Fleet, Vic Pollard, Nigel Ashurst, Ian Hastie along with Ian Ormond were all missing. 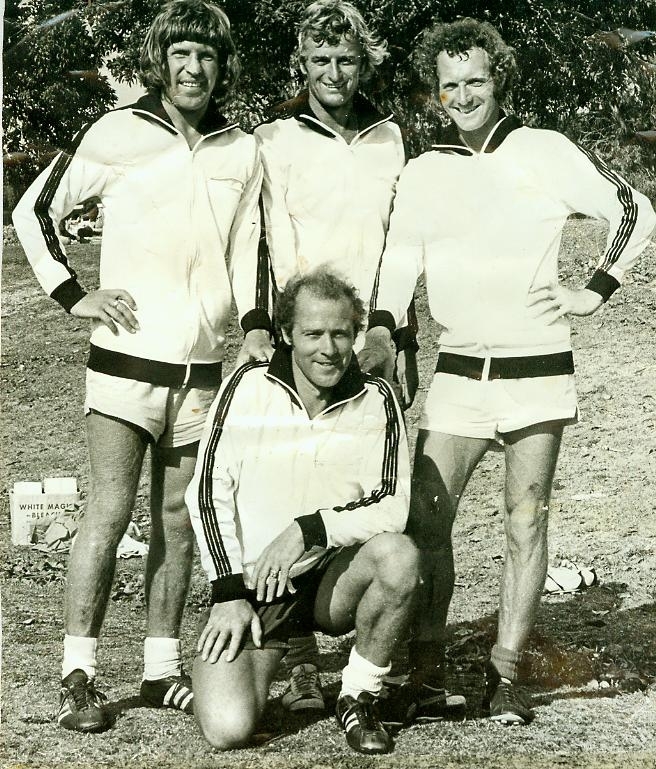 Incomers were John Staines, Colin Latimer and Mal Bland from Eastern Suburbs, Max Davis and brothers Ronnie and Brian Armstrong, from Mt Wellington, Tom Randles and Brian Hardman from Christchurch United, and Gary Lake from Blockhouse Bay. As elder citizens of the squad, Alan Vest, Brian Hardman and Tom Randles were cast in the role of ‘Dads Army,’ unfortunately, I was somehow included in this role purely because we hung out together. Charlie Dempsey, who was later to influence major advancements in both NZ Football, and the Oceania Confederation, was the Manager of the squad. Charlie still fancied himself as a player and would want to join in the practice games in training; we would humour him by allowing him score the occasional goal. ‘Dads Army,’ Alan Vest, Tom Randles, MT, Brian Hardmen (kneeling). Our opening game of the Oceania Cup against Fiji was played under floodlights on a Saturday evening at Newmarket Park. I was named in the starting line-up for this game in which we ran out comfortable winners, 5 – 1 in front of a healthy crowd of spectators. It seems strange by modern International protocol but we had to face Tahiti the very next day; they were stiffer opposition than Fiji, the game ending in a fractious 1 – 1 draw. I missed this game but was named in the following match against our recent rivals New Caledonia, where we came out with a 2 – 1 win. New Hebrides were dispatched by 2 – 1 in the semi-final and once again we faced Tahiti, but this time in the Oceania Nations final. I edged out Tony Sibley for the right back position, and we lined up with Kevin Curtin, MT, Colin Latimer, John Staines, Ronnie Armstrong, Denis Tindall, Dave Taylor, Brian Turner, Alan Marley, Alan Vest and Malcolm Bland. Goals by Dave Taylor and Alan Marley secured us the victory, but not without a struggle, against some very talented Tahitian players. After the game a reception was held somewhere in central Auckland and after a few celebratory drinks Barry Truman loaded his station wagon with Geoff Brand, Tom Randles, Brian Hardman, Alan Vest and me to return to Ardmore. The journey started very well with all of us singing the popular songs of the day, but after a while we realised that niether of us were Auckland residents and consequently not familiar the road networks. We were lost and couldn’t find our way to the motorway leading back to Papakura. After about two hours, when our good humour had disintegrated into a slanging match, we finally made it back to our base at Ardmore, where some of the student teachers had kindly arranged a celebration party for us. 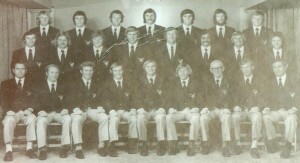 NZ Football Squad to contest the World Cup Qualifying Tournament 1973. With the Oceania Nations Cup safely tucked away in the trophy cabinet, the focus now turned to the World Cup Qualifiers. Our first match pitted us against the tournament favourites Australia; hosting the game at Auckland’s Newmarket Park. In front of a full house we fought out a 1-1 draw, with Brian Turner notching our goal and but for a miss in front of goal by substitute Geoff Brand, in the dying minutes, we could have scored a famous victory. 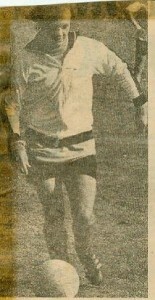 Geof Brand stretches for the ball in front of an open goal which would won us the game against Aussie. We moved on to Sydney where we played out a 1-1 draw against Indonesia, Alan Vest the scorer, before losing disastrously against Iraq by 0-2. I missed the match against Iraq but was reinstated for the all-important return game against Australia at the Sydney Sportsground. A fifteen thousand crowd turned up to witness what was meant to be a comfortable victory for the fancied Aussies, but once again we spoiled their party by forcing them into a 3-3 draw. Alan Vest put us 1-0 up early in the game and although we were 3-1 down by half time we never gave up, continuing to attack the Australian defence, until we were rewarded with two second half goals by Dennis Tindall. Throughout the tournament we had been lowly rated by the Australian press, therefore, to gain two draws against the eventual winners gave us a certain amount of credibility. 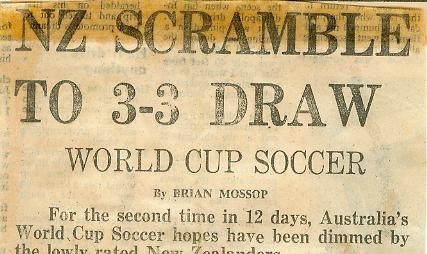 Although we drew with Australia on two occasions they went forward to the 1974 World Cup Finals in West Germany. However, the euphoria of the result against Australia soon evaporated when we moved on to Melbourne’s Olympic Park to face Indonesia. For me it was a personal disaster as I scored the only goal of the game, into my own net. I over hit a pass-back to our goalkeeper, John Morris; and watched in horror as it sailed over his head and into the net. Unfortunately for me it was the only goal of the game and it virtually put an end to our slim chance of qualifying. The tournament finished on a low note for the squad when we were defeated 0-4 in the final game against Iraq. For this game Ronnie Armstrong and I were moved from our normal full back positions into the midfield, but the positional changes didn’t work and I was reverted back into my more familiar position at halftime. Despite my own goal John Morris and I still remain friends. The overall experience of playing in the World Cup Qualifiers was for me a memorable and valuable episode in my football career, meaning that I had now been involved in three top class cup competitions; the FA Cup with Stockport County, European Cup with Royal Antwerp, and the World Cup with New Zealand. I had enjoyed the comradeship of players of a group of players who I would continue to be associated with for many years to come. 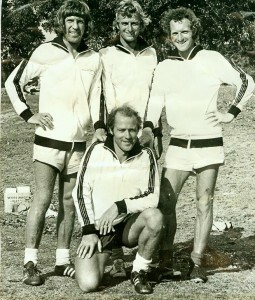 Barrie Truman informed me that the Australian Coach Rale Rasic had singled out Brian Turner and me as the most outstanding New Zealand players; I took that as a great compliment because our squad comprised of many accomplished and talented footballers. Playing directly behind Brian Turner helped me appreciate what an outstanding player he was; even though he was not at peak fitness at this time, I could recognise his vision and creative abilities. Brian could pick out his teammates with a range of long and short passes, shielded the ball well, and was always available to receive the ball. Brian Turner; a creative midfield player. 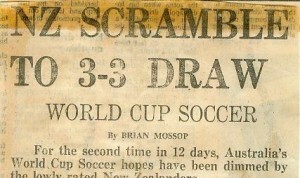 There was one further International game to play during the 1973 season which took place in August at Newmarket Park, against Iran. Iran were preparing their team for World Cup play-offs against Australia. The teams played out an entertaining 0-0 draw, with newcomers to the squad in the form of, Phil Dando, Graham Griffiths, Ken France, Alan Smith, John Legg, Earl Thomas, and Steve Boyland.